It is Tuesday…raise your forks in anticipation of a hot, new restaurant in NYC! Brooklyn has become a culinary destination. I have a new restaurant that you need to place at the top of the must dine list…Sociale. Start with the owner, Francesco Nuccitelli. What a doll. He possesses all of the traditional and gracious qualities of your ideal Italian man. He is suave, animated, charming, has impeccable manners and knows how to deliver sumptuous food. We first encountered Francisco at the east village establishment, Perbacco. He WAS the restaurant and when he left to fulfill his dream of opening his own restaurant, we waited with bated breath. 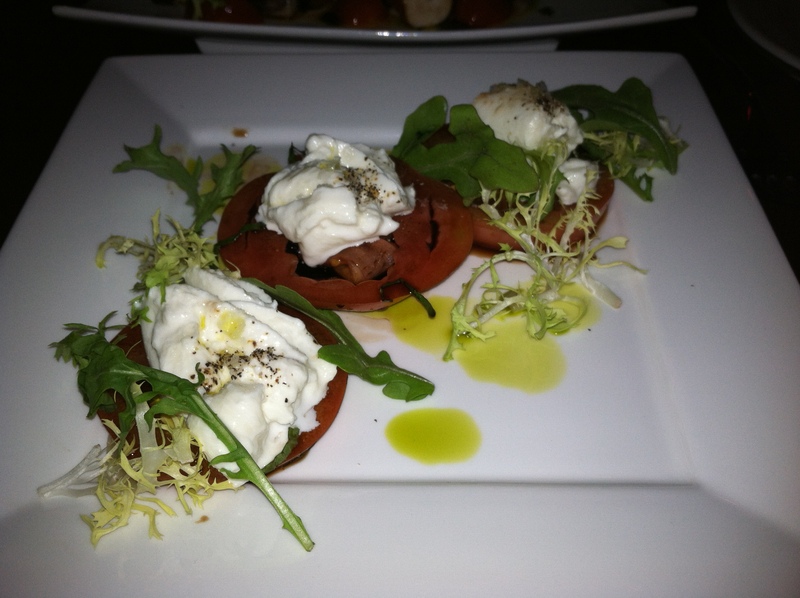 Francesco just recently threw open the doors to Sociale, his tremendously appealing Italian bistro in Brooklyn Heights. It is an intimate place with big bay windows which bathe the room in light and let’s in the trendy appeal of the urban neighborhood. He enthusiastically greets you at the door and your charming dining experience has commenced. Francesco’s desire to please and his animated description of every item on the menu is contagious. By the time your first course arrives you are trembling with desire to dig in. 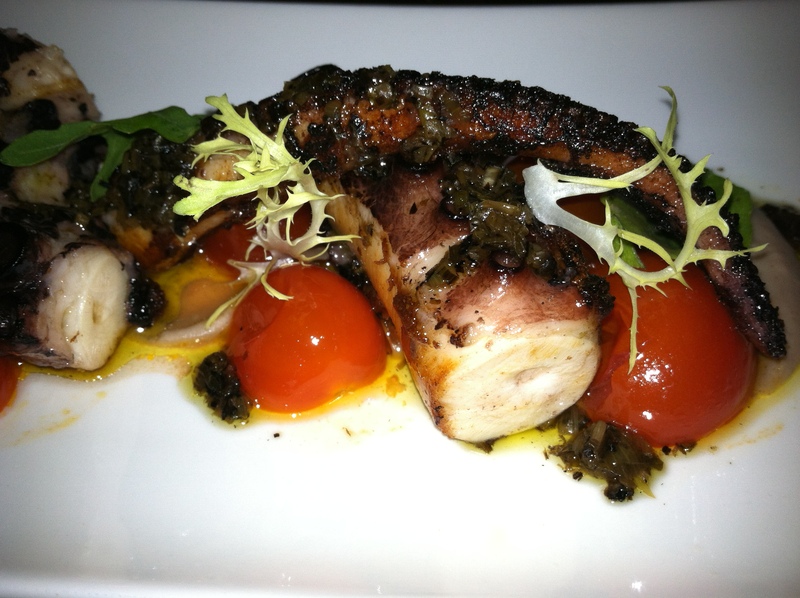 We started off the meal with the most amazing Polipo alla Griglia…Spanish octopus with cherry tomatoes and a scallion vinaigrette ($14)…tender, thick, delicious, charred to perfection on the outside…a real treat adorned with anchovie paste and sweet cherry tomatoes. 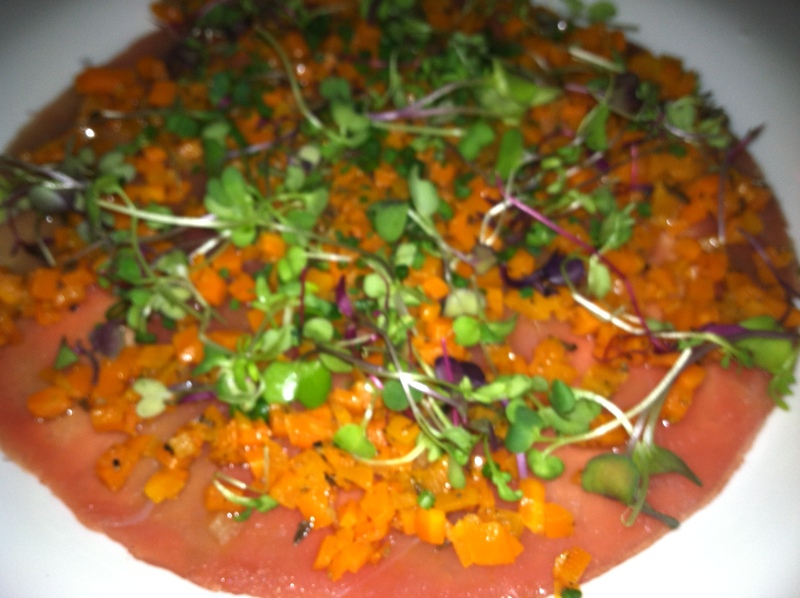 Francesco then graciously presented us with Carpaccio Di Tonno ($12) with sautéed carrots and micro greens. The slightly cooked carrots added a new flavor dimension. I happened to read on Yelp that the portions were small…this is an absurd comment, unless you are awaiting Lap Band surgery. Yelp is for the miserable people who hate everyone and everything…hello, a glass can be half full. The pasta course was unbelievable, Tagliatelle Ai Frutti Di Mare-shrimp, mussels, calamari, red mullet cod, bread crumbs ($18)…so light and flavorful. Francesco informed me that they use less eggs in the pasta to mix well with the seafood. 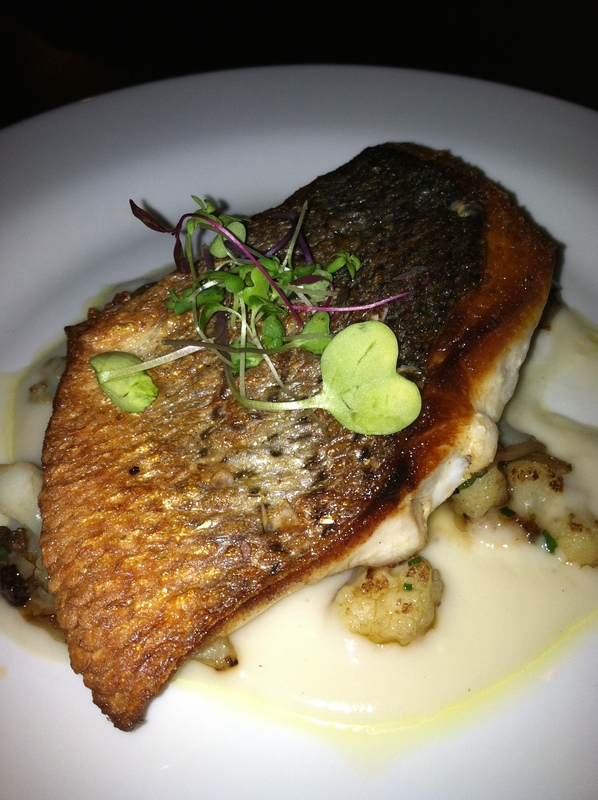 Our main course was stripped bass, tender, flavorful with dazzling cauliflower ($25).You have to eat the skin…cooked to perfection.. 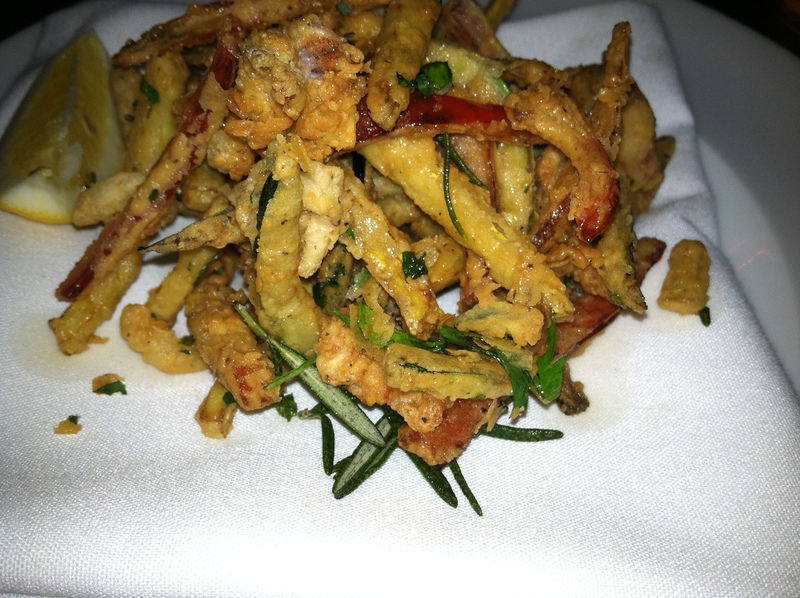 Instead of dessert we when cra cra and ordered the Frittura Di Mare ($12) consisting of calamari, shrimp, eggplant which was lightly fried, crisp and delish, embellished with a rich tomato dipping sauce. Francesco stocks impressive wines at reasonable prices and never steers you wrong. We imbibed the Pinot Nero Cembra. Beyond the food, we sat next to a couple who are also Francesco fans. What charming, intelligent peeps! They had just returned from a month in Sardinia and Paris…grounds for distain, but you can’t help but admire their love of music, joie de vivre and earthy desire to consume great food. Our journey from the upper west side to Brooklyn Heights (every time I hear Brooklyn Heights, I remember the theme song from The Patty Duke Show…wow, I am dating myself!) anyway, back to my geography lesson, it took less than 30 minutes by car and parking was a cinch. Truthfully, I would drive a much longer distance to have dinner with Francesco…both he and his food are bellissimo!! Kudos to chef, Rosendo Lozano, formerly of Scarpetta, for mastering the art of Italian cooking. 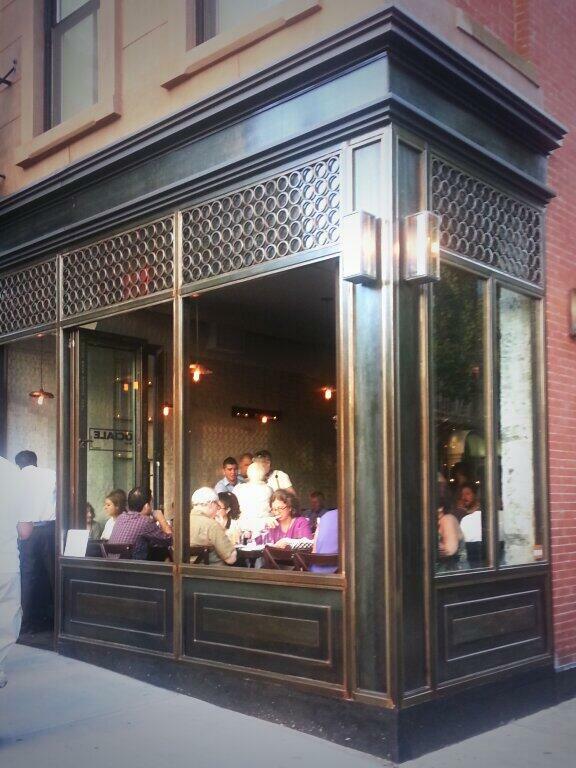 Sociale, 72 Henry Street, Brooklyn Heights. Open daily for lunch and dinner. Reservations on OpenTable.com. Credit cards accepted.